Posted on February 5, 2015	by Rev. Joe Jagodensky, SDS. It’s the bits and pieces of life that gathers so many memories and then holds on to them, as best it can, especially to those that are significant. The problem with memory is the remembering part. The beauty of remembering is what touched you the most. You may not known it at the time but the remembrance found a permanent place and actively lives in your mind. No, that’s not right, it’s not your mind that holds the memory, it’s your heart that keeps yelling to your mind to never forget your life’s important moments. Is the remembering accurate? More than likely, it is not. Time has a way of hits and misses when it comes to details. A movie I love begins with the warning message, “This may not have been how it happened but it is how I remember it.” It’s just the bits and pieces. I was looking for a piece of paper tonight that I wrote a long time ago to use in a sermon on Sunday. While looking for that piece, I found more paper pieces than I wanted to see. “Just one piece to do my bit on Sunday,” I thought to myself. 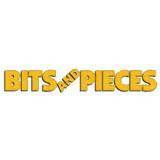 One bit of a piece of my life is want I wanted and strewn around me were bits and pieces of a lot of my life. I thought, “Someday I’ll have to read all this stuff from my past,” knowing that I probably will not because the piece I wanted to find was not to be found so why bother with the rest. I can look through other places for the piece but I doubt I’ll find it. Finding a piece in a whole lot of stuff is like that hidden needle. The funny part is that I know what’s on that small piece of paper containing a sliver’s piece of my life. I can easily recall it but I wanted to see it for myself to fully remind me of what happened when I wrote that piece of paper. Alas, I am left to my memory which I’m beginning to mistrust as the years continue to add up. Driving to work this week it took my half the trip to remember what movie I watched the night before. I remembered it and remembered that I loved the movie that I couldn’t remember 9 hours later. I don’t mind all of this because the details never mattered to me even if they appear to do in my aging mind. It’s the feelings, the weather that night, the food eaten, the conversation as I best as I can recall that linger and that now form the bits and pieces of that time, that place and the person I spent that time with. After a long while of life we only have bits and pieces to retrieve. We often lose the full and complete story but we don’t need that now, years later and in this present time and space. We only have bits and pieces of what we hope adds up to a meaningful and full life. The full and unabridged episodes in our lives if left to the TV miniseries that follows our death. The actually doesn’t matter but it’s how we remember it that does. This entry was posted in Spirituality and tagged memory, remembering. Bookmark the permalink.